Stream anime episodes online for free, Watch One piece Episode 2 English version online and free episodes. 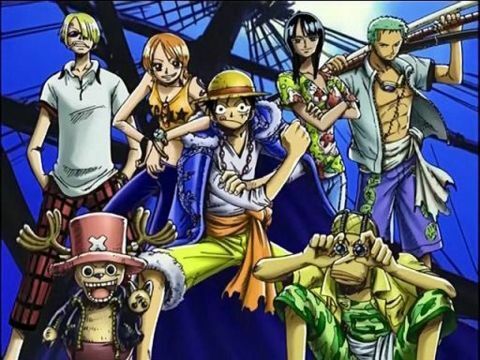 Anime Episode guide One piece Episode 2 English dubbed Roronoa Zoro: Pirate Hunter Luffy and Coby arrive at an island with a large Navy base where the mere mention of the names “Roronoa Zoro” or “Captain Morgan” sends the townspeople into a panic. At the Navy base, Luffy climbs the wall and finds Zoro tied to a pole. A little girl named Rika climbs over and offers the starving Zoro some rice balls that she made herself. The foppish, snobbish Helmeppo, son of Captain Morgan, arrives accompanied by several Navy soldiers. He eats one of Rika’s rice balls finds it disgusting, stomps on them and has her thrown out. After he is gone, Luffy asks Zoro to join his crew.